Introducing Absolut Colors – latest limited edition release dedicated to the LGBT community inspired by artist Gilbert Baker, creator of the Pride Flag. The six colors of the pride flag have different meanings & these colors are present on the bottle. 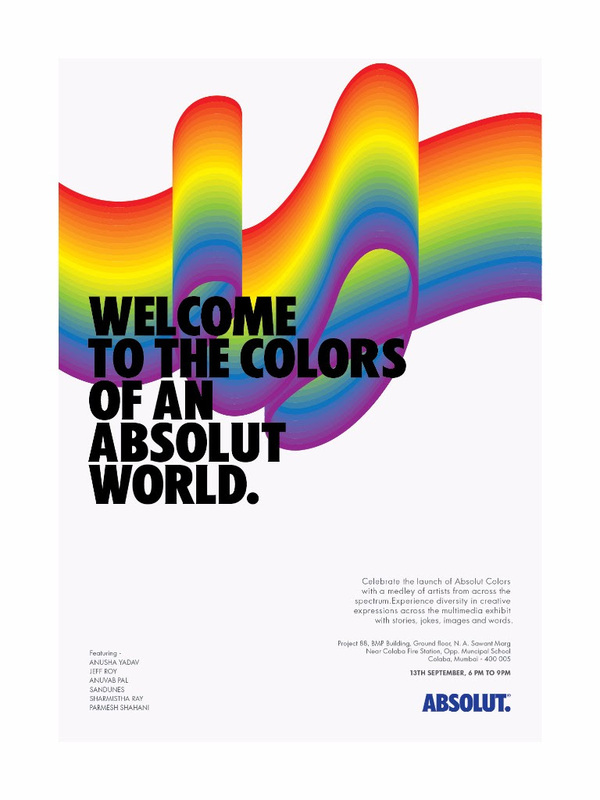 During the launch event, Absolut is looking to decode the six colors of the gay pride flag through six selected artists. Each artist will be presented a chance to create an expression around the theme for the evening.